HAIO formed 3rd gap up. 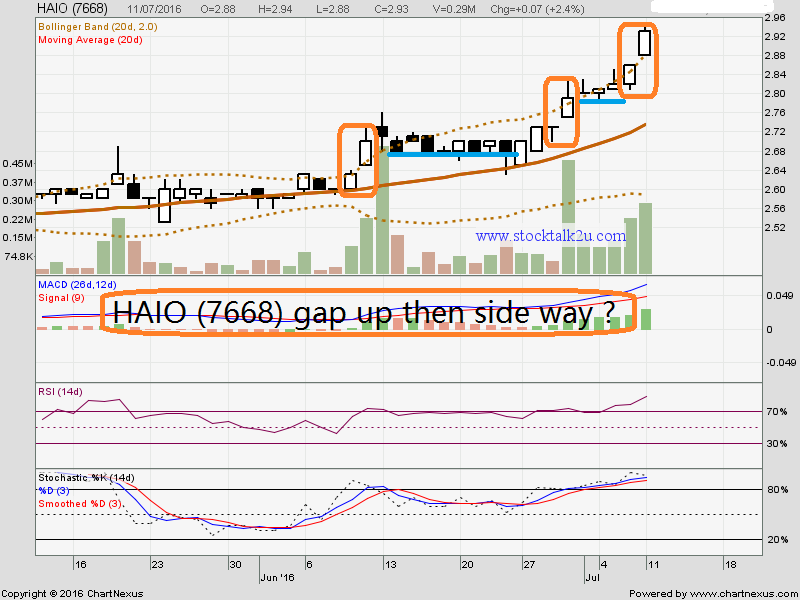 Will it be follow "gap up then side way" trend? Stochastic %K @ on buy call itinerary. Immediate resistance @ RM2.93 level. Subsequent resistance @ RM3.00 level. Immediate support @ RM2.88 level. Subsequent support @ RM2.86 level. 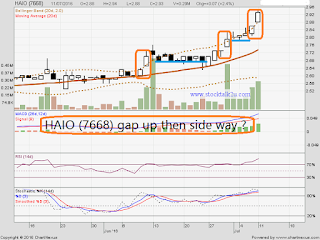 Will HAIO market capital moving toward yr 2018 mission?